If you are looking for a unique venue for your next function, consider 13th Street Winery! 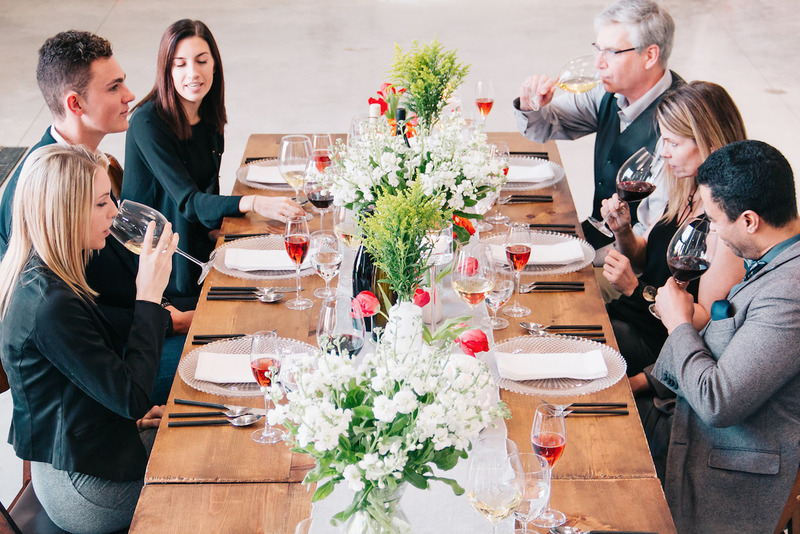 Choose from our new Tasting Bar & Wine Boutique, the Farmhouse Bakery’s Gallery Room, an outside event on our magnificent grounds, or for an authentic winery experience, host your event in our recently expanded production facility, complete with a spectacular view of our vineyards and sculptures. The Tasting Bar & Wine Boutique was completed in December 2016 and boasts a contemporary, stylish space with an expansive tasting bar and floor to ceiling windows. The interior fixtures are portable allowing an expansive open space that can accommodate groups up to 80 guests in a cocktail style reception or a sit-down meal. The original turn-of-the-century Bakery Farmhouse includes a private gallery room, the focal point of which is a magnificent half-ton solid Indonesian hardwood harvest table, which seats 20 guests. The wrap around verandah offers an idyllic setting to sip a glass of wine, whilst admiring the stunning views of the potager and flower gardens and rural countryside. Our newly expanded production building was designed to accommodate groups looking for an authentic winery experience, set amongst the tanks and barrels within the working facility. 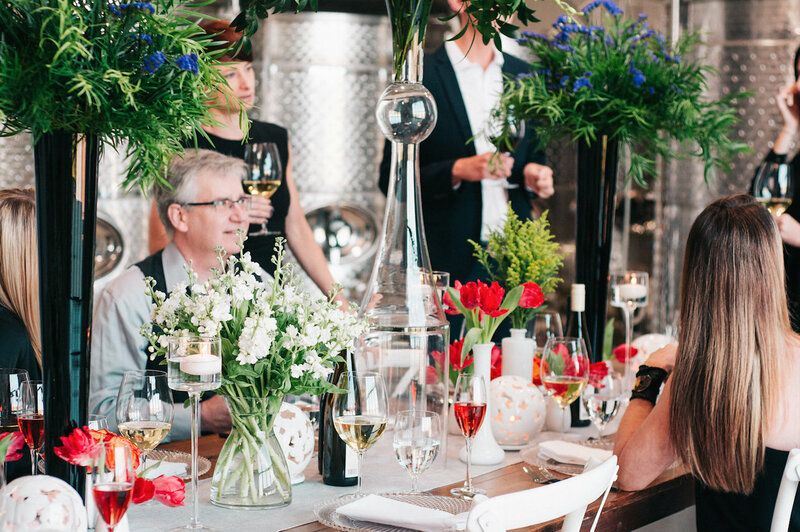 Featuring a wall of glass looking over our grounds and vineyards, the open space can be transformed to suit a variety of different groups. 13th Street’s estate chef Josh will work with our events manager Susanna Brousseau to create the perfect menu for your event. Interested? Email events@13thStreetWinery.com or contact us using our Event Request Form below. Visit our PHOTOS page to see pictures of our event spaces.